Richard Harris is celebrating the biggest win of his career after taking down the £1 million ($1.5 million) guaranteed WPT500 event on Tuesday. The Welshman topped a field of 1,616 entrants at Dusk Till Dawn in Nottingham and pocketed £150,000 ($231,202) after getting the best of a final table that included Alex Goulder, Ben Winsor, Nathan Gallichan and Florian Duta. 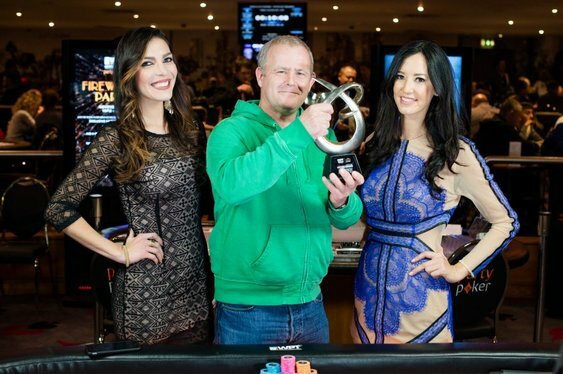 Organised by the World Poker Tour (WPT), Dusk Till Dawn and partypoker, the WPT500 involved a series of online and land-based qualifiers that additionally took place at Aspers Casino Westfield Stratford City in London. After Chin Chai Koh hit the rail in third, it was left to Yani Yanev to try and halt Harris' march to victory. It wasn't to be for the Manchester regular though, who took a stand with a flopped middle pair and inside straight draw. Harris looked up the all-in bet with his over pair, which improved to a set on the river to give him the title and a career-best payday. Not bad for the man who stated that he had entered the tournament ‘just for a bit of fun’. “I just can’t believe how quickly it went,” said Harris. A quick look at Harris' tournament stats reveals that he doesn't cash all that often but goes big when he does. His seven tournament cashes include two six-figure payouts while his previous best performance was a 54th place finish in the main event of the 2007 edition of the World Series Of Poker (WSOP) for $190,053.